Snack on this: An international recipe book with "paper plate" pages to eat on. 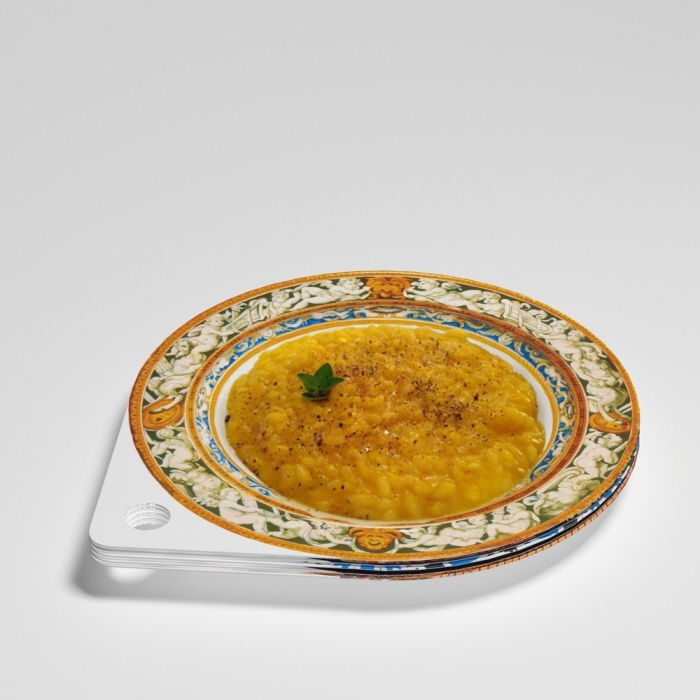 LunchBook is designed by Italian design team Sebastiano Ercoli and Alessandro Garlandini for the Expo Milano 2015 world exposition dedicated to food, sustainability and nutrition. This culinary world book contains international recipes encouraging the visitor to use its pages as plates and taste the many dishes from Expo Milano food stands. Once a page is used it can be easily removed. The pages have been coated with a waterproof biopolymer film and are 100% recyclable and compostable. 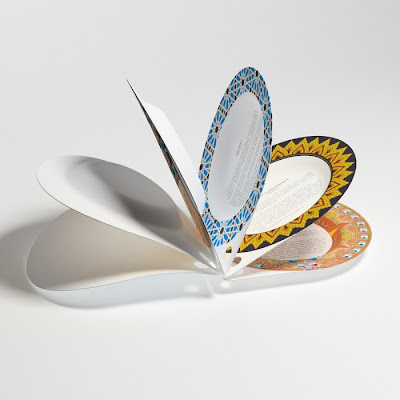 An added feature is having each paper plate's border based upon the traditional designs of the recipe's country of origin. 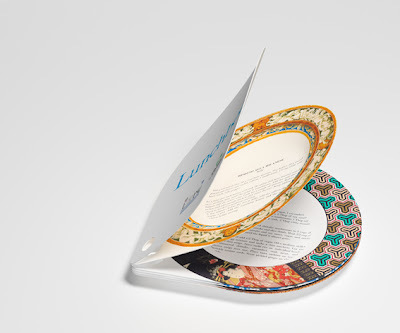 Ummm...LunchBook...it will leave you hungry for more great design. Further noted, is architectural student Andrea Puppa's dynamic winning design for the Expo 2015 logo competition. Puppa's design was one of two chosen from over 700 student submissions by a panel of judges chaired by Giorgio Armani. His design was then selected by a popular vote on May 22, 2011 after the 2 works were posted on the event's official website. :: Via Taxi and cross-posted today over at Book Patrol.